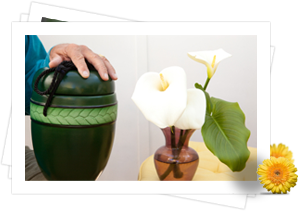 No matter how you choose to care for your loved one's physical remains, we pride ourselves in our ability to offer you a variety of peaceful and picturesque settings for their final resting place. We invite you to explore the options each of our our properties have to offer. 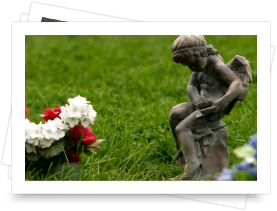 Our experts are here to guide you on a tour, understand your needs and concerns, answer your questions, and provide you with all of the information you'll need to make an informed decision about your loved one's final resting place. Contact us to connect with our team, request more information about your options, or schedule a tour. When it comes to a traditional in-ground burial, your family can choose an estate lot, a multiple space lot, or a single space grave. 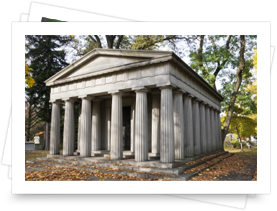 We'll walk you through the available locations within local cemeteries, and assist you in finding an area that fits your needs, budget, and personal preferences.